With three different versions of Windows being used now, you’ll probably find yourself trying to share files or printers between them. 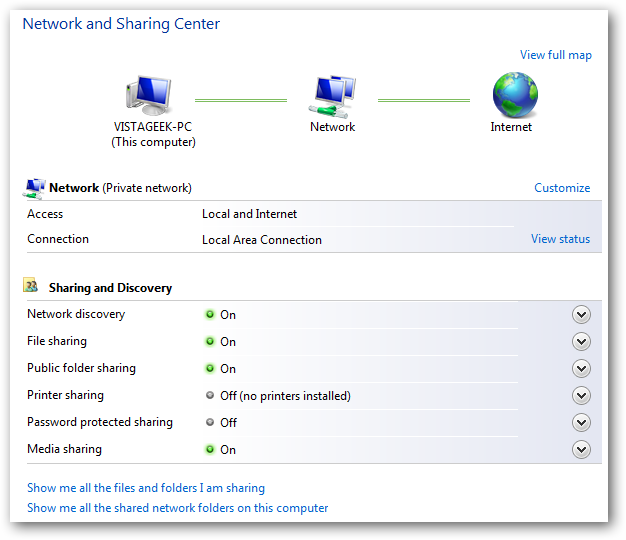 Today we take a look at how to share files and printers between Vista and Windows 7 machines. 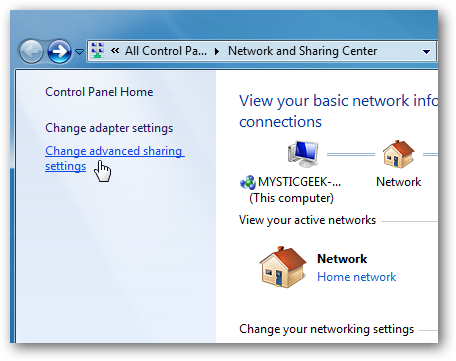 In this example we are on a basic home network using Windows 7 Ultimate (64-bit version) and Windows Vista Home Premium SP2 (32-bit version). On the Windows 7 machine we need to set up a few things in Advanced Sharing Settings. 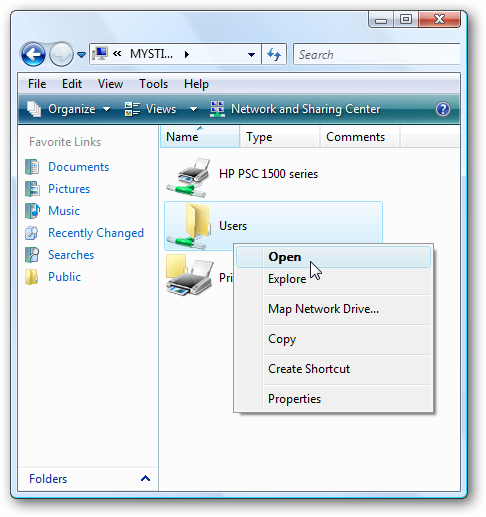 First type network and sharing center into the search box in the Start Menu and hit Enter. Now in Advanced Sharing Settings, make sure to turn on network discovery, file and printer sharing, and public folder sharing. Make sure these are enabled in both the Home or work and Public profiles. Depending on your setup, you might want to turn off password protected sharing. Other wise you’ll need to enter the password for each machine in, which isn’t that big of a deal. Turning it off while you’re setting it up makes things a bit easier though by saving a step. On the Vista machine we need to double check and make sure it’s sharing settings are ready to go. Right-click on Network and choose Properties. The Network and Sharing Center opens up. Under Sharing and Discovery we need to turn on File Sharing, Public Folder Sharing, and Network Discovery. 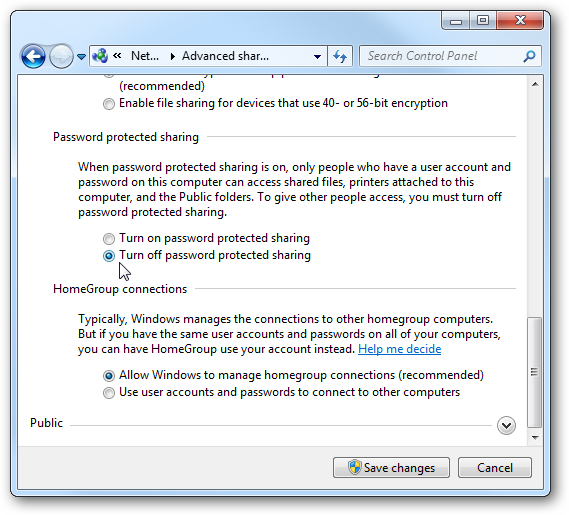 Also on the Vista machine you might want to turn off password protected sharing … but it’s completely up to you. Now that we have the correct settings on each machine, it’s time to put it to the test. 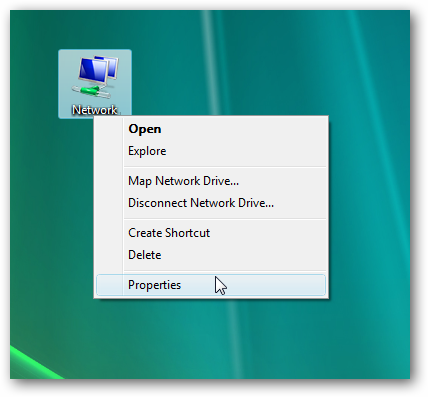 Open up Network on the Windows 7 machine, and you should see all of the machines on the network. 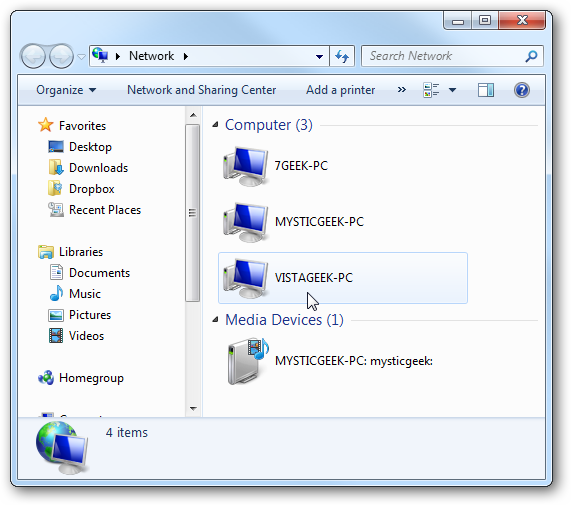 The Vista machine in this example is VISTAGEEK-PC. There was no need to enter a password to access the Vista machine because password protection is turned off. But now you can go through and see the User Shared folders. In this example both public and Users directories are shared. 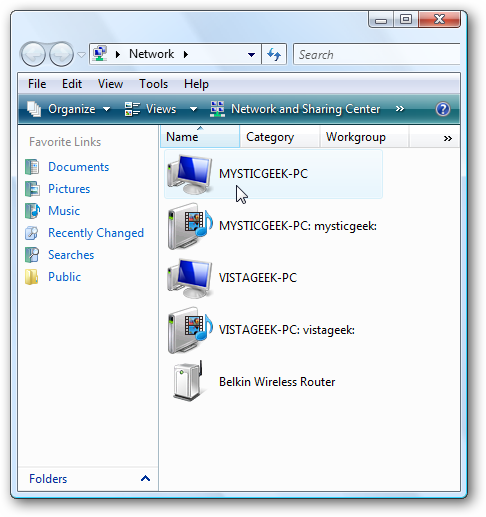 Now on the Vista computer, double click on Network and you should see the Windows 7 machine (where in this instance it’s MYSTICGEEK-PC). 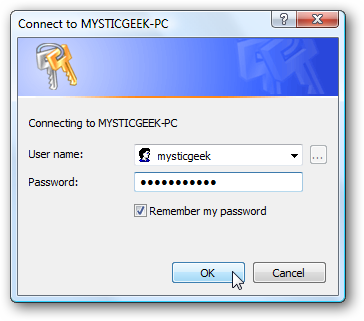 I enabled password protection on the Windows 7 machine so we can take a look at the login screen that will be displayed before connecting. Then you’ll see the folders and devices that are shared. 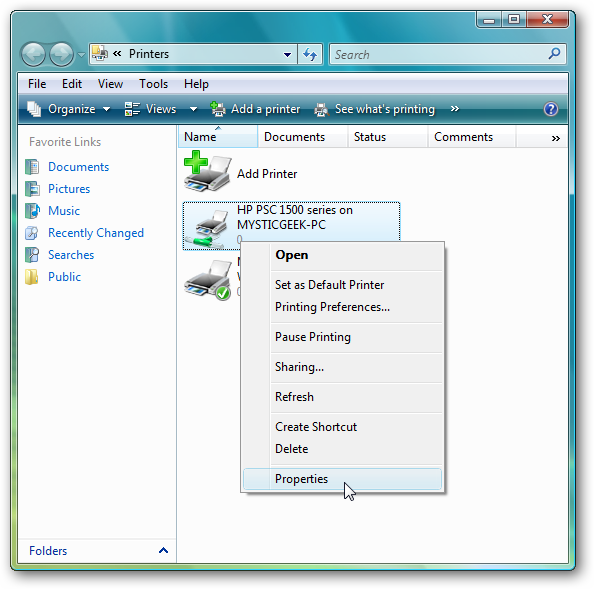 Here you can see the HP printer connected to the Windows 7 machine is available. And you can continue browsing through all available shared folders and files. As we showed above, you can see the printer connected to Windows 7. Let’s make sure we can connect to it and print a test document. 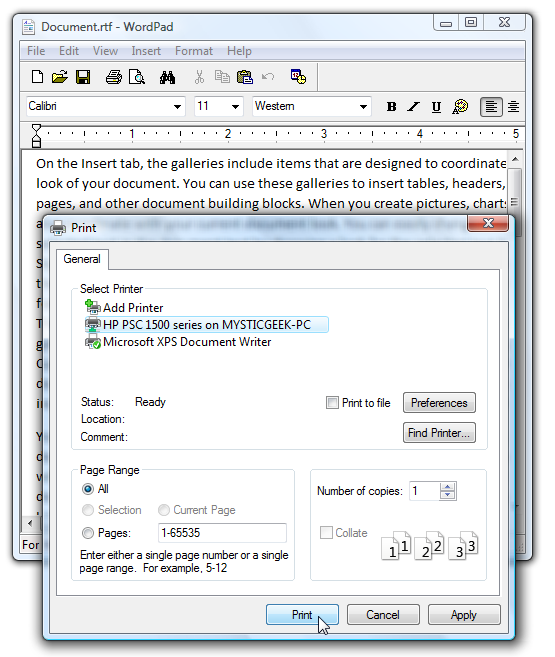 In Vista click on the Start menu and type printers into the search box and hit Enter. 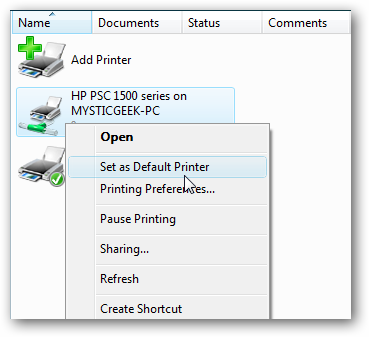 Right-click on the shared printer and select Properties. Under the General tab click on the Print Test Page button. 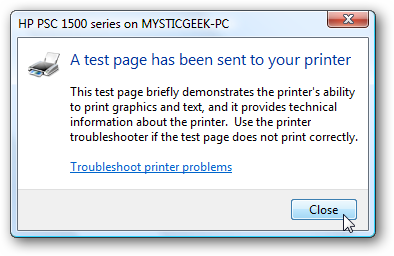 The following message is displayed while the test page prints out on the printer connected to your Windows 7 machine. Another test you might want to perform is opening a test document and making sure you can print that to the Windows 7 printer. Provided everything prints out successfully you might want to make it the default printer. 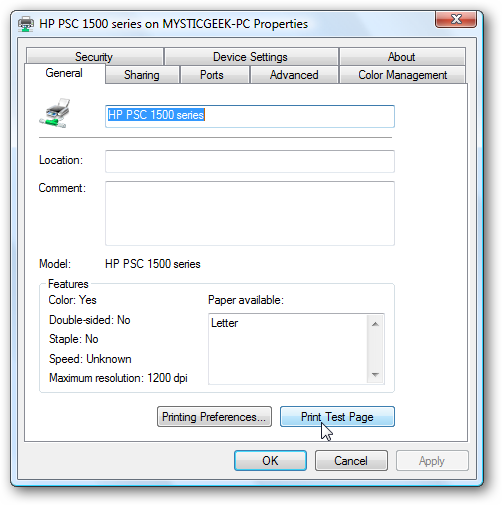 If your machines aren’t able to see each other or the printer isn’t working…here are a few steps you might want to use to determine where the problem is. 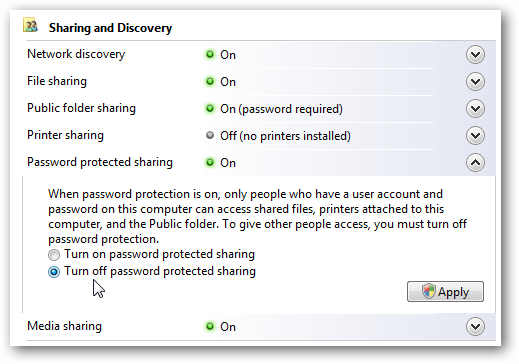 Double check to make sure Network Discovery and File and Print Sharing is enabled on both machines as shown above. 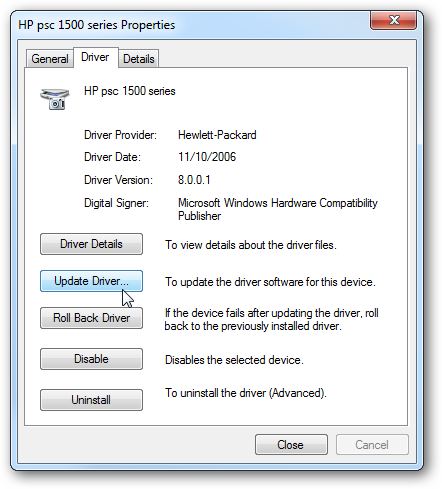 If the printer isn’t working, double check to make sure you have the latest drivers for each OS installed. 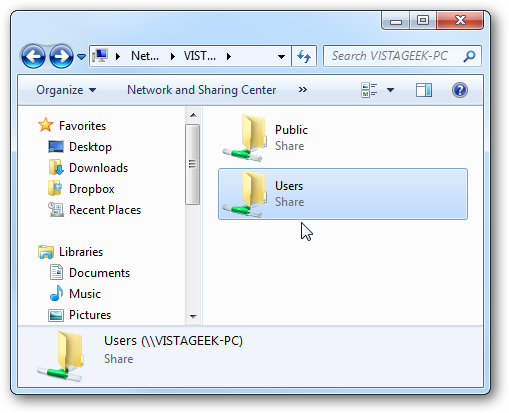 This should get you started sharing folders, files, and printers between your Vista and Windows 7 system. In this test, we didn’t need to install any different drivers for the printer like you might have to do when sharing a printer between XP and Windows 7. Results with printers are going to vary depending on the printer models and set up. Older printers are notorious for having issues with drivers that won’t work with Vista and or 7. As long as network discovery is enabled on both the Vista and Windows 7 machine, sharing documents is actually a fairly simple process. 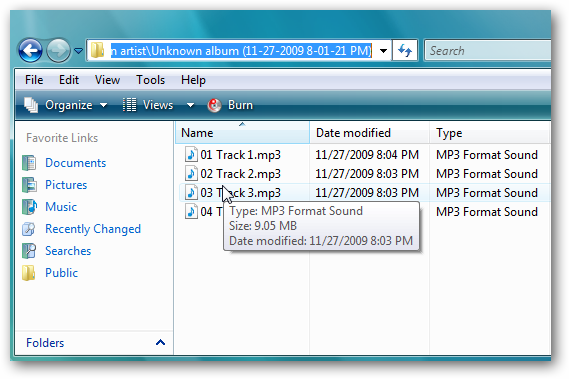 If you want to share between Windows 7 and XP make sure to check out our previous article–Share Files and Printers between Windows 7 and XP.